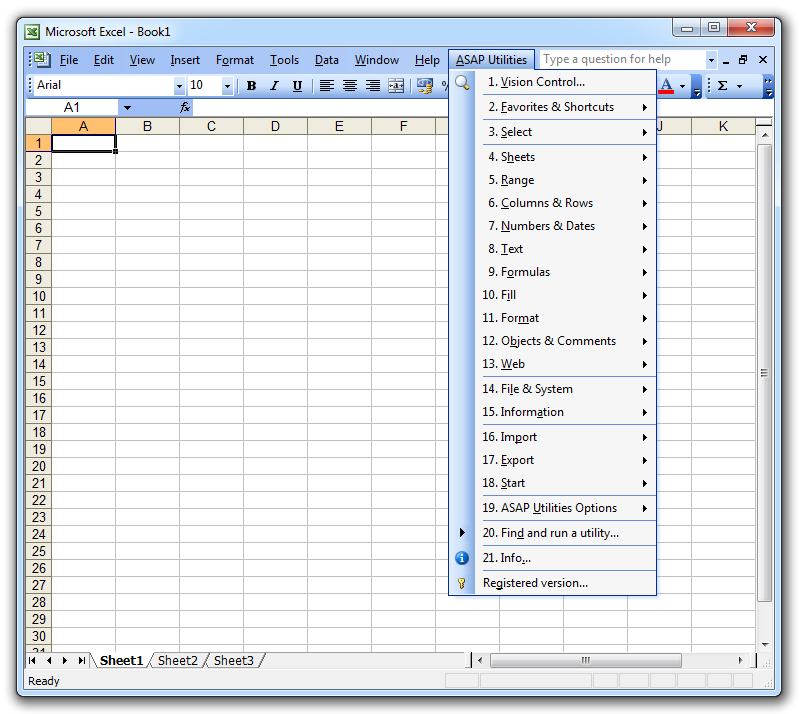 Save time in Excel with ASAP Utilities, our highly recommended Excel Add-in. 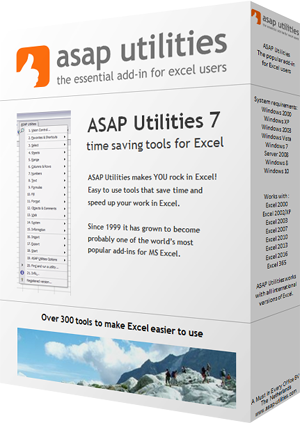 Download the latest version of ASAP Utilities, released on April 11, 2019. Buy your license today, it's only USD 49.00 for a single user license, or save up to 86% with our very attractive volume discount rates. After you have received your license it is easy to turn your current trial-version into the full unlimited version in a few seconds without the need to download or install again. It's proven that time saved with ASAP Utilities will recover the license costs in a short period of time. If you have a license, then you can download the latest version here. As a licensed user you have received a special download link in the email with your license details. If you can't find your special download link then please contact us and we'll be glad to (re)send it to you. You can also get this special download link from within ASAP Utilities via: ASAP Utilities Options » Check for new version on the ASAP Utilities website. Installation is as easy as to follow the steps presented to you when you run the setup. At the end of the installation, you can immediately start using ASAP Utilities in Excel. If you have suggestions or questions then please don't hesitate to contact us.